First printed in the July 2018 issue of The Connector. Every place has a store of early settlers, even Woodbury. That's why for the last couple years, the Woodbury Heritage Society has been actively raising money to preserve the Miller Barn, an historic barn located in Valley Creek Park, near the northeast intersection of Valley Creek Road and Settler's Ridge Parkway, not far from Stonemill Farms or Dancing Waters neighborhoods. As part of the effort, the Heritage Society is hosting a "Le Diner Blanc" or White Party on Sunday, July 22, from 4:30-7pm at the site of the future Valley Creek Park, where the barn is part of land being developed as part of Woodbury's park master planning process in the years to come. A White Party is a French tradition in which all attendees wear white (including hats) with the decorations, tables and chairs all in white in an outdoor garden setting. It's a distinctive party that has become more popular in pop-up events in Minneapolis, and while wearing all-white clothing is optional, it adds to the evening's experience. Also to make guests feel they are at an authentic French event, the food being served will be a delectable French picnic basket meal prepared by the Lake Elmo Inn. Wine will also be available, and entertainment for the night includes a captivating auction and fun entertainment. 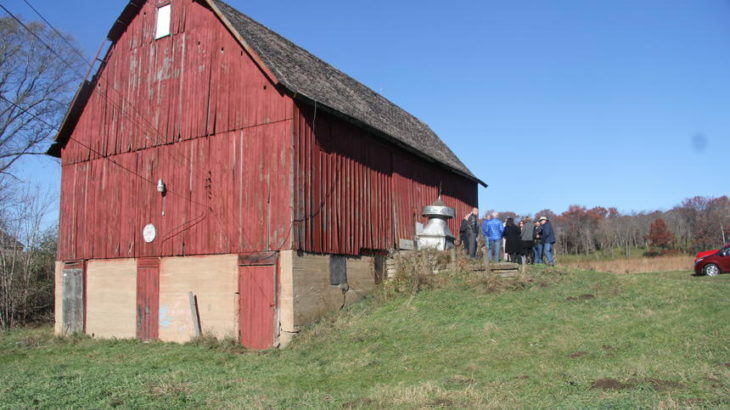 "Some may say the Woodbury Heritage Society's effort to preserve the barn is just about saving another barn, but it's much, much more than that," says Joyce Flynn, a Woodbury Heritage Society board member working to save the barn form decay. "The Miller Barn provides an opportunity to conserve one of the city's few remaining historical buildings as the site for a cultural and heritage center for the community that will bring to life the people and experiences of our history for people of all ages. It showcases Woodbury's agricultural past." The White Party will introduce more residents to Valley Creek Park, with the party planned to take place under a tent near where the farmhouse and clothesline once stood. "Our goal is that this will be a place families, senior citizens, and school field trips can come and learn about what life was like in Woodbury, from when Native American tribes were first here to when the first farming settlers came to when Minnesota became a state and beyond," says Wayne Schilling, Woodbury Heritage Society president. "Many of Woodbury's founding families still have ancestors living here," Flynn adds. "And for the Heritage Society, we also like the fact that by learning about farm life, where families and farmers worked together and worked hard, you can see how it takes a community to make a community work. Plus, we want to highlight how farmers were mindful to be good caretakers of the land." "Overall, we just want people to be introduced to a time where people lived a simpler way of life," Flynn says. As part of Woodbury's master plan for the area, ideas such as adding an amphitheater, a playground with an agricultural theme, an outdoor seating area for community events, picnic grounds and a historic-themed walking trail are being considered. But it will be a while before those plans are finalized. 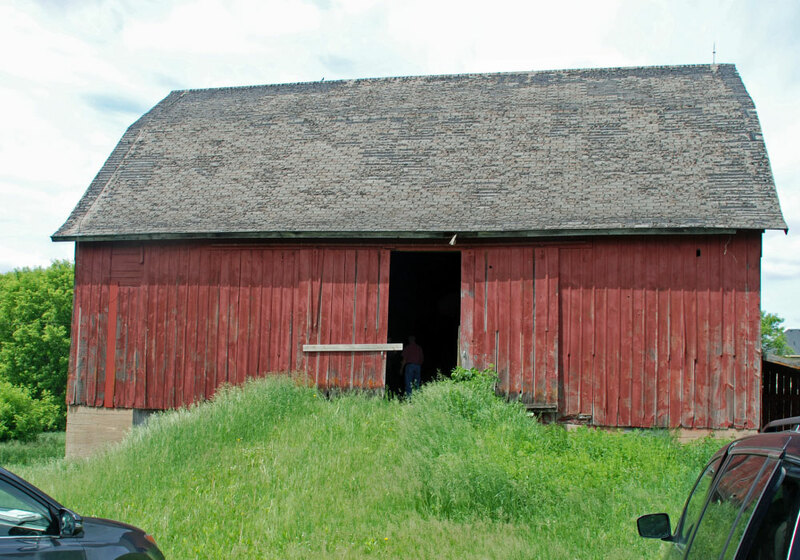 The Woodbury Heritage Society already received a state grant to replace the Miller Barn's dilapidated roof and now hopes to raise enough funds to shore up the barn's foundation and keep the interior in good shape. 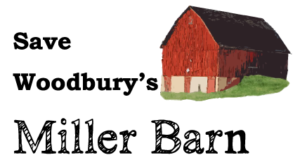 Working with the city to keep the barn intact has always been part of the Woodbury Heritage Society's goal for years and other Woodbury groups, including the Woodbury Community Foundation, have been part of the project from the beginning. Guests encouraged to wear all-white clothing and will enjoy a delectable French picnic basket meal, wine and entertainment to raise money to preserve the Miller Barn, one of the last historical symbols of Woodbury's agricultural past.